Our client Boojum is due to open in Cork this week…and the excitement is Cork is well and truly building. 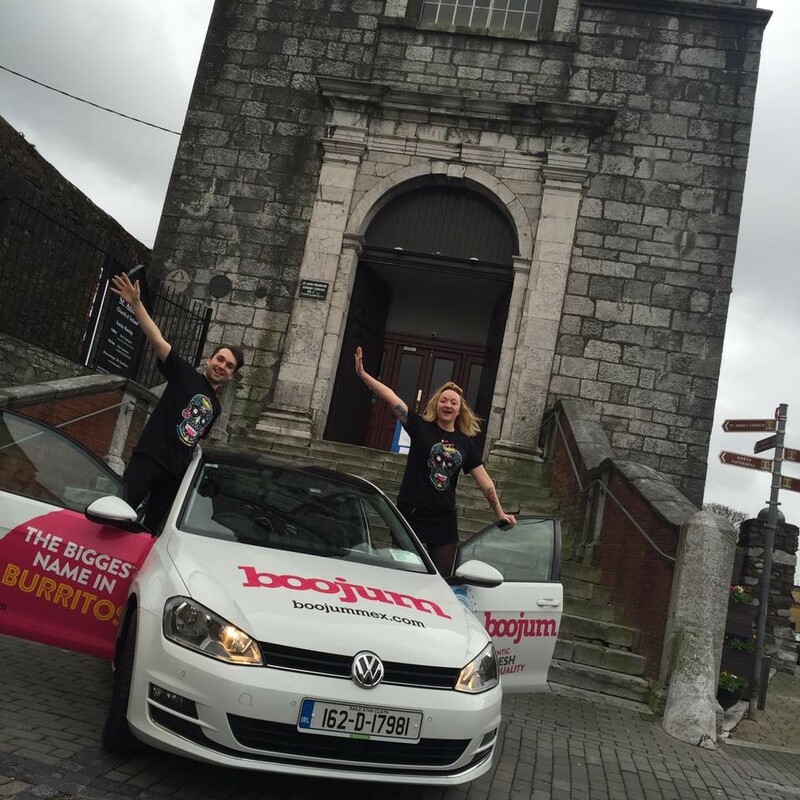 Late last month the Boojum team came to town and caused a major buzz as they travelled around in their branded cars filled with Boojum goodies. While I knew Boojum was popular I didn’t quite realise how popular it was and how much people wanted it to open in Cork! I can’t believe the buzz and anticipation in Cork City for the award winning Mexican restaurant to open its doors. With stores already in Belfast, Dublin and Galway, Cork will be the first new city for Boojum in 4 years, and their 3rd new store to open in the past 12 months. 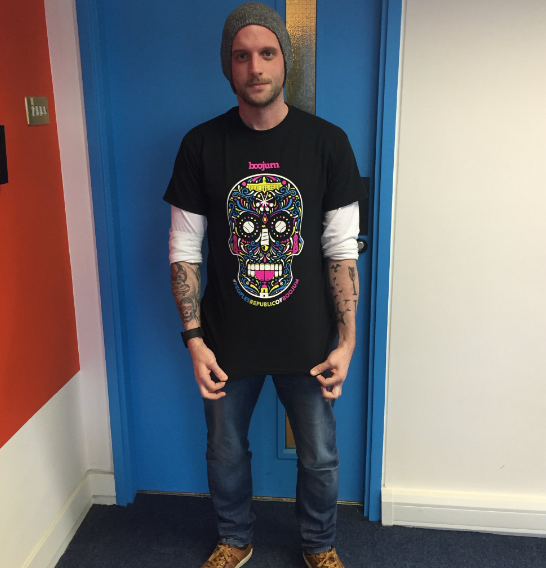 Boojum addict t-shirts have become a highly coveted item belonging only to the most loyal of customers and Boojum Cork have commissioned special edition t-shirts especially for the Cork customers designed (and modelled!! See below) by our very own Paul Wade in our Fuzion design department. Since they were revealed we have been inundated with calls from people looking to get their hands on one. The t-shirts will be available exclusively from Boojum Cork so keep an eye on the Boojum Cork Facebook and Twitter accounts where they may just give away a t-short or two! The new store, which will be located on 7 Winthrop Street, is approximately 2700 sq ft over 2 floors, seating 50 people. Will one of these be you?!! We can’t let the South Mall go south!! When I was in college in Cork in the early ‘80’s I used love to walk down South Mall and take in the atmosphere of this bustling busy business street and I vowed I’d someday work there – that is of course, after I travelled and conquered the world!!! I always knew that Cork would be my home and after a long and winding road now it is. I can’t believe that I am lucky enough to not only work on the South Mall, but that I own a business on this historic business precinct. 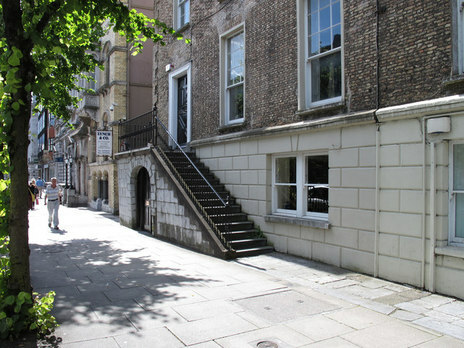 We have an equally good location in Dublin on Fitzwilliam Street and even though we continue to grow in Dublin, Cork will always be my base and the South Mall will always be where I am drawn to work – and often play thanks to great places like Electric, right across the road from us! I know though at the moment I am seeing the Mall with tinted glasses. Because it’s home to me the glare of all the “To Let” and “For Sale” signs fade into the façades of the buildings. But what must people think when they look at the South Mall now, when viewing the area as a location to set up a business? With all the vacant signs, it’s probably the last place people new to the city would consider setting up a business. I bet sometimes some people think all that is missing is the tumble-weed – although there are weeds growing off many of the empty buildings!!! Reports and studies are great but are they getting us anywhere? Is anyone taking the advice, recommendations on board? Where are the incentives to encourage people to move into the South Mall? Are the Estate Agents doing their jobs properly? Is there something more the business community could be doing? Is there more that the landlords should be doing to make their properties more attractive to businesses? It just breaks my heart sometimes when I see another business leave, just as strongly as it leaps for joy when I see a business opening. Thankfully there have been a few in the last six months. Perhaps the business community on the South Mall should join together? 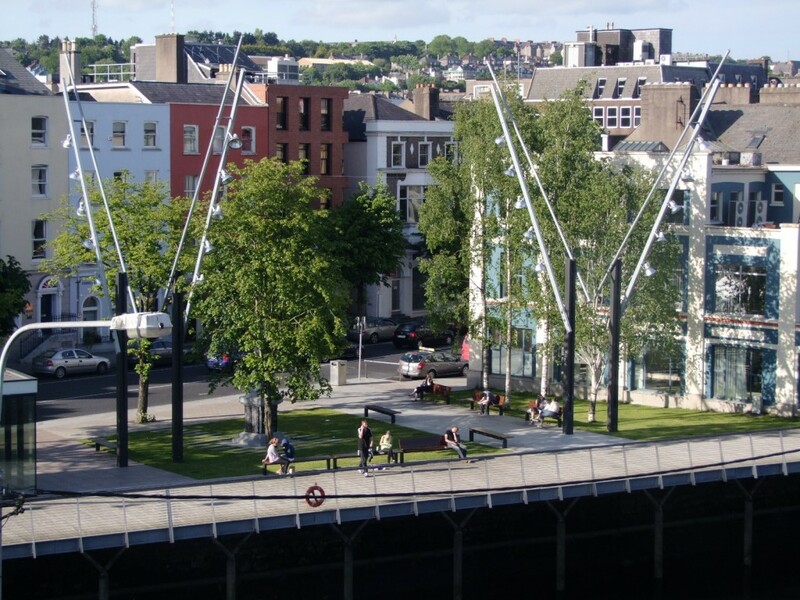 Now I know we have an excellent Chamber of Commerce and there is the Cork Business Association – but should we mount an organic PR campaign for the South Mall; where businesses pro-actively talk up this great business precinct and support the businesses on the Mall. This could not only help keep businesses on our main business centre but also encourage more businesses to make the South Mall their home. We could make sure new businesses on the Mall are welcomed by neighbours, through social media, through one to one well wishes and the ultimate support, by doing the best to do business with neighbouring businesses. The South Mall could once again become a real thriving business community, supporting each other and encouraging new neighbours. Fuzion are delighted to be working on two great initiatives that have been introduced by the Government and are being operated by the Local Enterprise Boards. The first of these is Ireland’s Best Young Entrepreneur, which was recently launched by the Taoiseach and the Minister for Jobs, Enterprise and Innovation. It is a new competition to find Ireland’s Best Young Entrepreneur, with a total fund of €2 million available to invest in winning businesses and entrepreneurs in every county in the country. The competition is being run by the new Local Enterprise Offices, and the winners at county level will be eligible for an investment in their business of up to €25,000, while the winners at national level can receive an additional investment of up to €50,000. Investments in the winning businesses will be determined according to business prospects and investment needs. This is really encouraging to see as it recognises the importance and encourages entrepreneurship in Ireland. The competition is applicable to anyone aged 30 and under with an outstanding idea/commercial venture for a start-up or existing business. Almost any young person with a business idea can enter the IBYE competition. It doesn’t matter what their background is and it encourages anyone who has researched a business idea, anyone who is itching to be their own boss, or an existing young entrepreneur, who has an idea to improve their existing business. It also includes anyone who wants to return home and set up their own business in Ireland. Getting some of Ireland’s best talent to return and set up a new business would be fabulous for our economy. The competition falls into three categories including Best New Idea, Best Start Up and Best Idea by an Established business. If you know anyone who fits this bill then please encourage them to enter the competition, which has some great prizes including financial and other supports. Young entrepreneurs can apply via the IBYE website. Any initiative that encourages, supports and celebrates young entrepreneurs must be applauded – well done! Check out the other terrific initiative, Online Trading Vouchers which is designed to encourage and assist Irish businesses with eCommerce potential to get trading online and not miss the opportunity to expand their business. Vouchers of up to €2,500 are available to qualifying businesses. A few months ago I found myself having a coffee in town on a Saturday morning chatting with an old school buddy who I hadn’t see in thirty years. We had connected on LinkedIn and it was as if those thirty years had disappeared in a flash. I always thought he was “sound”, one of the good guys and in truth not a whole pile had changed – both of us had done a lot of living in between but we were essentially the same two school mates – we had a good laugh recalling stories about our teachers and football matches we had played in. I had a photo of our “winning” team in some school tournament and there we were the two of us in our red kit! Both of us have done well in our varied careers and he was in the early stages of a new online project – by the end of the conversation he asked if I wanted to come on board with the project utilising our expertise on some type of a shareholding arrangement. In a few years the plan was to sell the business and we would all make good money. Hmmm ….sounded good. After this me met a few times and got down to business and delved into the nitty gritty of his project and our involvement in it. While his project was really interesting to my surprise I found myself not being as enthusiastic as he was about it. Why was this I was asking myself? Like every great “driver” he was pushing me for our plans and input. I did this of course but I discovered his project wasn’t my No.1 priority. My clients and our own projects motivate me and this project just wasn’t having the impact that I was expecting. It wasn’t a client and it wasn’t “my” project. My buddy needs more than 1,000% from me and everyone else involved in the project for it to be a success. I realise this more than anyone. Before we damaged our friendship we gracefully concluded our arrangement and that was cool with both of us. We’ll meet again for coffee soon – probably in about another 30 years! 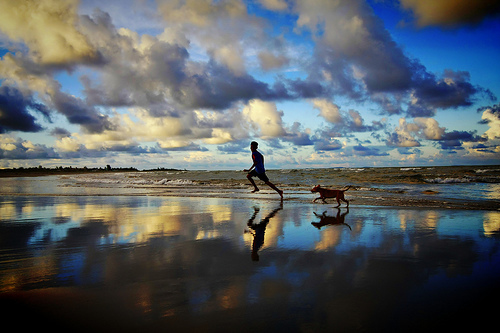 It’s important that we spend our time chasing our own dreams. Sometimes are you better off not saying the right thing? 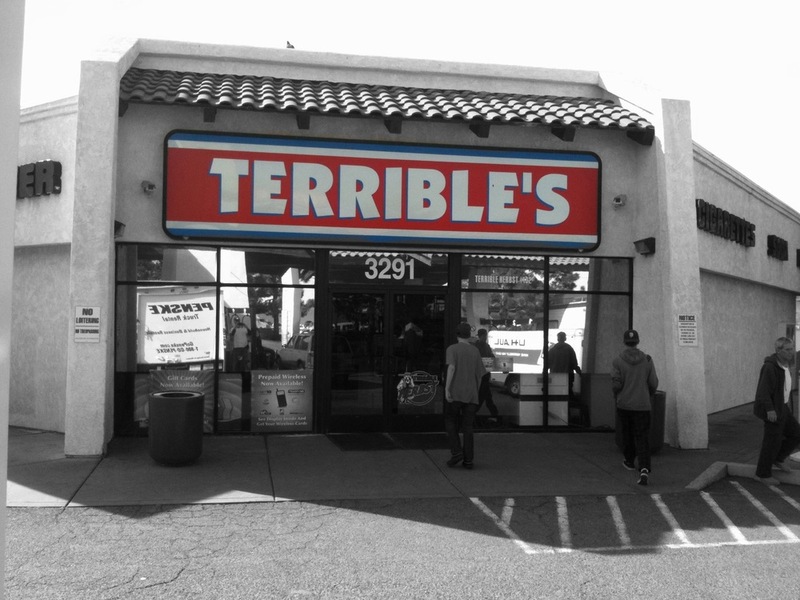 Must be a great shop ! At this stage between the initial briefing meeting and the time spent researching and working on the plan we have spent well over a day’s work before we meet with the prospect and present our Marketing\PR plan for his business. This is always a tricky stage for us – if you want to have a chance of winning the new account you have to punch in the time, put in the research, brainstorm and put all your best ideas and thinking into the plan. We don’t get paid for this but we do obviously hope that the client likes what we are proposing and then engages us to execute the plan for them – Put your best foot forward if you are serious about winning the business. We are two hours into our presentation and the prospect seems to be embracing the plan and it is all looking very positive. Our plans are always quite comprehensive and cover everything from being found on-line, a review of marketing collateral and website, a PR plan including ideas that should generate the right media coverage and a social media plan to accelerate all of these efforts. At the end of the presentation, while everything seems to be going well there is one huge, risky issue that we wish to discuss. “We feel your business name isn’t right” we gently explain to the prospect. This could be as delicate as telling someone you don’t like their child’s name! “But what about my website, my branding, the money I’ve invested to date in advertising, pushing the name out there?” he asks. “It is saying the wrong thing about your business, it is giving the wrong impression of what you are about” … he seems to be digesting and contemplating what we are saying , so we continue “we feel strongly that we would be doing a huge disservice to you if we drove on with a plan without first addressing the issue of your business name“. After a few minutes he admitted that he always had some concerns about the name “fit” and we were the only (maybe foolish?) ones he met that had raised the issue. We presented him with some alternative names that we felt more accurately captured the essence of the business offering and he seemed genuinely interested in them. In truth we could have made life easier for ourselves and probably for him by just ignoring the business name issue and presenting a plan that was in keeping exactly to the brief. 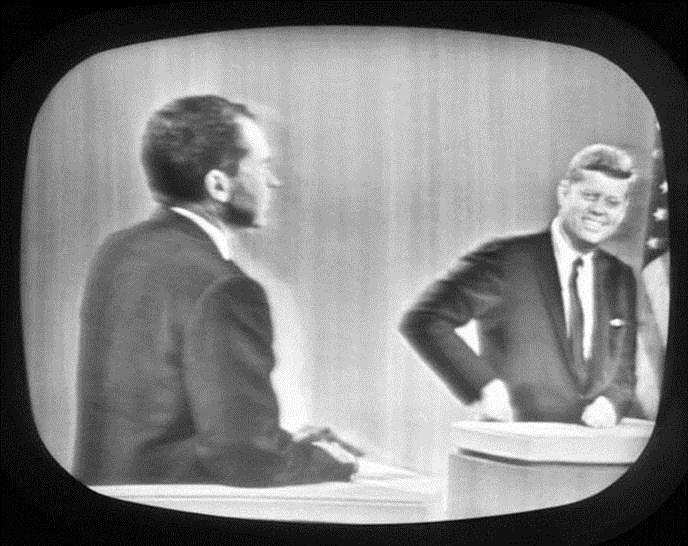 In 1960, the relatively unknown Senator John F Kennedy debated against Vice President Nixon in a US first television live debate in a presidential election campaign. It’s widely acknowledged that without that debate, Kennedy would never have been president. Nixon, pale and underweight from a recent hospitalisation, appeared sickly and under pressure, also famously refusing makeup, while Kennedy appeared calm and confident, tanned, robust and healthy, wearing full make up. Those who listened to the debate on the radio thought Nixon had won. Those who watched it on television, thought Kennedy had been victorious. While Nixon went on to perform much better in subsequent debates (and to look better, due to weight gain), 20 million people watched that first one, and the damage had been done. For the first time ever in the US, viewers judged presidential candidates on not just content, but style, stage presence, appearance. For the first time, it demonstrated that how you present yourself, counts. In our working lives we make presentations, give interviews and conduct meetings, leaving first impressions every day. We don’t want to be all style and no substance, but how you present yourself, matters. How you dress, how you shake hands, how you speak at that first meeting, may be the only shot you have, so you have to make it count. Sometimes we are casual in our approach with business associates, with prospective clients, with colleagues, and we conspiratorially confess that business hasn’t been great, that we couldn’t wait to leave the office to go home and watch the Olympics, assuming we are making friends, but this is not the climate for over sharing- this economic climate requires your game face! People like to think they’re doing business with a focused, capable, confident person, and that first impression will do at least half the convincing, that you’re the right person for the job. Nixon himself insisted on campaigning right up to an hour before that famous debate, not having fully recovered from a hospital visit either, but he never got a chance to explain that in the live debate- the public presumed him exhausted, weaker than his opponent. Not fair, not true, but the rest is history. Of course we all do our best to look smart going to work, and make a greater effort for important meetings, but we should probably assume that how we present ourselves says more about us than we realise. Bear it mind as you’re getting dressed tomorrow morning- time to get your game face on! Jill Collins is an account director at Fuzion. 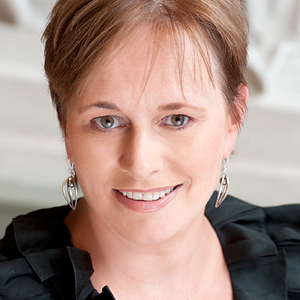 Jill Collins conducts presentation skills training and media training in both Cork and Dublin. “Guess who is selling his bar and buying a 5 star restaurant” Tommy, my Sales Manager said to me. I was the General Manager of Deasy & Co at the time, a subsidiary of Guinness. One of our loyal customers who was running a good solid suburban bar had done a decent job with the place and he was made an offer to sell up. The offer was “too good to be true” and our customer was going to make a clear profit from the deal. His plan was to buy and run this very successful five star, fine dining restaurant whose reputation had been built around a well known chef. He reckoned he could manage the purchase with the windfall from the pub sale and even be in a position to upgrade the restaurant premises with some support from the bank. 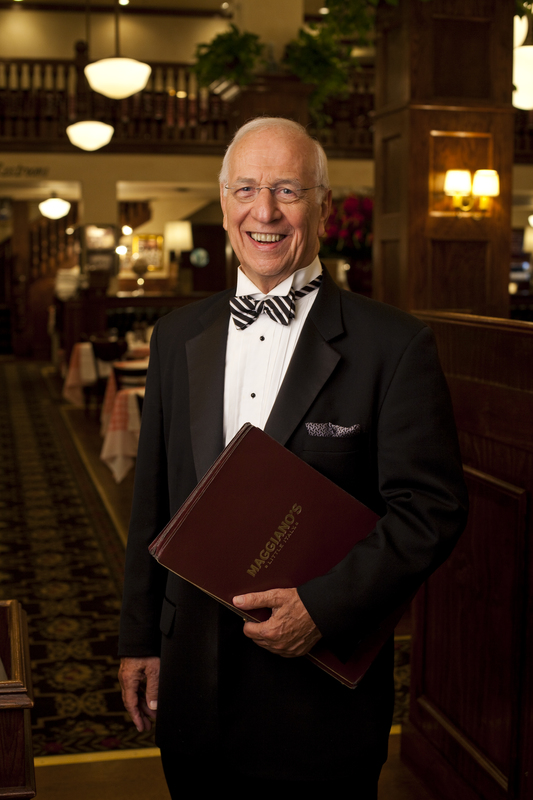 The problem as we all saw it was that our guy wasn’t exactly Mr.Sophistication and in truth he was the last person that we could imagine operating this 5 star restaurant. He always did well in the pub but that was with a very different, country type crowd. 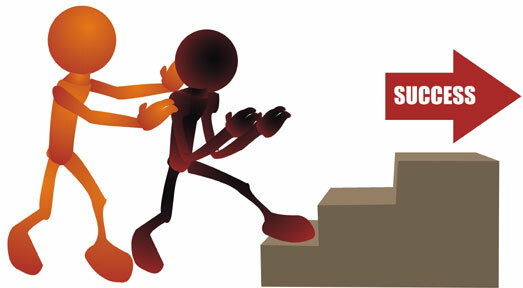 My buddy Tommy was really close to him – should he have a strong word with him and advise him against his dream? Our customer was determined, full of enthusiasm so maybe we were the ones that were wrong – who were we to say anything? If Tommy said something to him it could backfire and damage the professional friendship they had. Shortly after the restaurant opened under the new owner we went there for a meal to support him. Our worst fears were realised as we had a poor meal and you could see that our customer, who was a really nice guy just wasn’t able for this level of fine dining. Maybe he was on a learning curve and it would get better? Unfortunately within a year the place was shut, the “fine dining” reputation in tatters, he had lost huge money and the building was handed back to the bank and our customer had lost everything. The crazy thing was that we all saw it coming …. Would you have said something ? 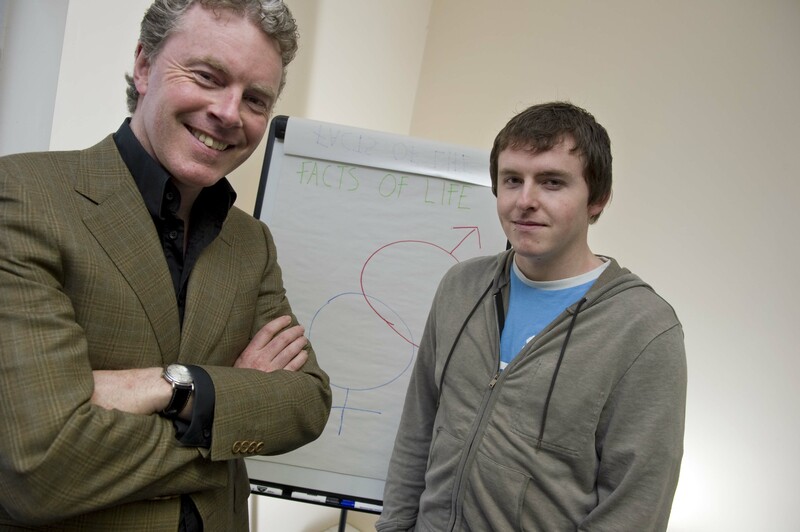 My son Brendan Canty has just qualified from CIT, having completed a multi media course. He wants to work in film in some way and he is also really passionate about music. How unusual – a 22 year old being passionate about music! Like every other parent you worry about what your children will do – you want them to find a job, earn a living and in this climate it has never been quite so tough. “You need to find a god solid job” I hear myself saying..
Well – he has set up his own website operating under the name Feel Good Lost and he has been busy producing videos for bands from all over the world – with the web and modern technology this is all quite easy, apparently! His last music video was for a “secret” American solo artist who goes under the name Slow Magic and the track he produced was for a song called Corvette Cassette. There is a video producers peer website called Vimeo (this is like a worldwide YouTube for video and film producers), which has just featured this song as a staff pic – at the time of writing the video has been viewed 63,000 times across the world. While Brendan does some excellent corporate video work for Fuzion and his own clients he excels when he combines his love of music and his film profession. On Friday nights he DJ’s in The Pavilion in Cork combining music and visuals as part of his unique set operating under the Feel Good Lost name. Slow Magic // Corvette Cassette from Feel Good Lost on Vimeo. He is following his dream and his passion and it had me thinking about career choices and Three Circles.. The basic principle is that if companies concentrate their efforts on activities that meet all three of these criteria then they will inevitably be very successful – this is one of the factors that Jim Collins attributes to the success of what he calls “Great” companies. If you are looking for a new job or a new challenge how about using the Three Circle Criteria for deciding which path you choose? Are you Making a Sale or Changing a Customers Routine? Do you change your routine easily? I admit it … I’m boring! Every Sunday morning myself and Dee go for a walk with our four legged creature, Bing to the local park with our good friends Tommy and Joan and their four legged creature, Tammy. This routine was so predictable – walk to Ballincollig Park, lap of the first field, walk alongside the river to the lower fields, cut up through the Gunpowder mills and the GAA fields, into the village, stop for coffee and scones at Nosh and Coffee, chat, walk through the village and home. This as I mentioned is what we do pretty much every Sunday. 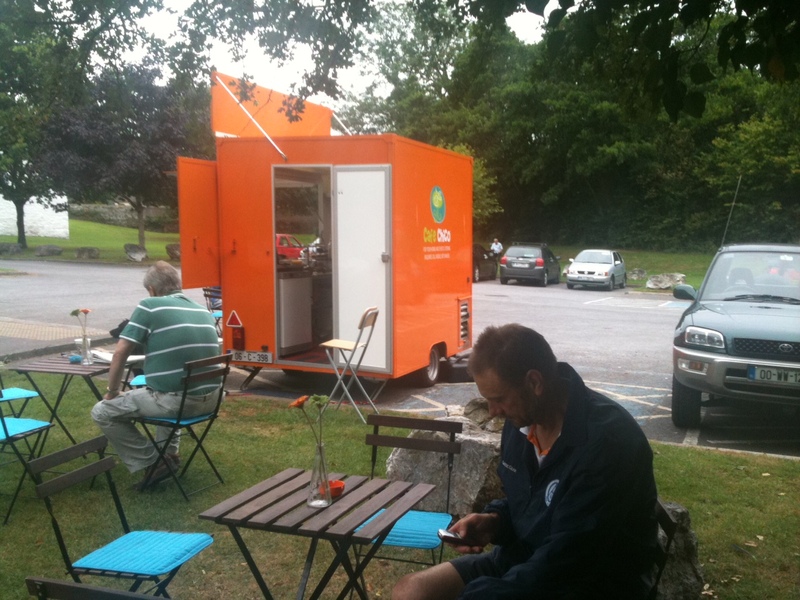 A few months ago a very cute little mobile coffee kiosk moved into the car park at the start of the park serving coffee and buns and they even have a few very neat tables and chairs outside their unit complete with flowers in vases. Now, this didn’t really suit our break “routine” as the location of the kiosk was at the start of our walk and not in the middle so even though it was a really nice set up it wasn’t quite right for us (its a big deal changing people’s habits!). Recently we did our usual walk but some of the “crew members” were a little hungover so having completed stage one of our walk we double backed, cut the walk short and went back to the little kiosk, “Cafe Chico” (the owner called the kiosk after her dog, who she brings with her for company each day) for some very welcome refreshments. The woman working in the kiosk was really friendly, the coffee and home made scones were perfect and to top it all she offered us biscuits from a tin especially for the four legged creatures – Wow! this woman knew and understood her customers really well. Officially we have changed our routine! Now the first leg of our walk is the same as it was before but now we do a few laps of the lower fields, double back along the river to lap the first field again and then return to the beginning to enjoy our coffee, scones and chat at Cafe Chico! Why? She runs a great little friendly business, she understands her customer and she goes a little further than you would expect but fully appreciate. Are you making a sale or are you changing a customers routine – which is worth more? While we can look after your PR needs, your reputation starts with what you do yourself. Broken Man – We need him now more than ever ..
n he bounded about two years ago full of energy, enthusiasm and little bit of arrogance but full of confidence. His plan was to launch a brand new product in a sector that he reckoned was totally under serviced but one that was growing in interest and importance. He was fully convinced about the viability of this project and needed our help to design and launch it in the marketplace. We were swept along by this guys enthusiasm and everyone in the team got behind the new project – it was really exciting. The new product did come out, probably at the worst possible time – in the middle of 2009 when no one was taking a chance on anything new. Despite his enthusiasm and powers of persuasion the revenue targets were badly missed. The product sold well in outlets where it was given a chance on the shelves but in most others it was returned within the week! That often happens with new products that battle for space on the retailers shelves. Product feedback was really superb by the few who actually managed to get their hands on it. Fast forward to 2011 ..
We did manage to get a few quid off what was owed to Fuzion but there was still a really large sum outstanding. I guessed the phone call would be a waste of time but in any case it had to be made..
..no answer, he’s probably not up to the conversation – can’t be easy. Two minutes later I get a call back and we have a really good chat. His other business ventures had also ceased (construction sector), he didn’t have money for me just now but promised to pay when fortunes improved. His mortgage payments have slipped by a few months and he was now job hunting. There is nothing here for him he reckoned .. his preferred destination is Australia but he wouldn’t get a work visa so he guessed he would end up in Abu Dhabi. This would be difficult as he has two young kids. He is a broken man, his world is in tatters – he is not the only one I have met recently. The truth is this broken man is an entrepreneur, someone who is willing to take a chance, someone who will make things happen. Sometimes things go wrong but often they go right and they end up employing people and service providers in the process. In Ireland we need the broken man now more than ever – if you meet him give him a break and encourage him to get on his feet again.